Detective Sergeant Frank Malloy and Sarah Brandt aren't the only ones who’ve recently tied the knot. Family friend Mrs. O’Neill was delighted when her daughter, Una, wed the seemingly wealthy and charming Randolph Pollock. But there’s a problem. Una was found cradling her dead husband’s body. Rendered mute by the ordeal, she cannot explain what happened and now stands charged with murder. 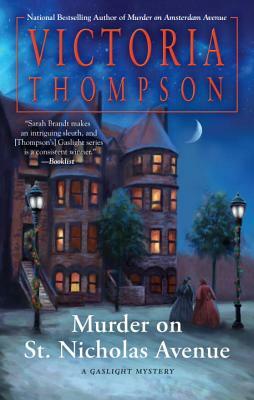 Victoria Thompson is the Edgar® and Agatha award–nominated author of the Gaslight Mysteries, the Counterfeit Lady series, and twenty additional historical novels. She lives in Illinois with her family and a very spoiled little dog.